Porsche Fremont is honored to present a wonderful example of pure vehicle design... this 2018 Porsche Macan Sport Edition AWD only has 9,193mi on it and could potentially be the vehicle of your dreams! Drive home in your new pre-owned vehicle with the knowledge you're fully backed by the CARFAX Buyback Guarantee. A rigorous inspection for safety and reliability makes this vehicle Certified Pre-Owned. With this exceptional SUV, you'll get sport, utility, and comfort. 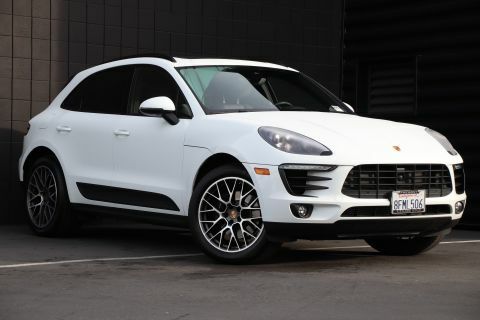 The Porsche Macan Sport Edition AWD's pristine good looks were combined with the Porsche high standard of excellence in order to make this a unique find. 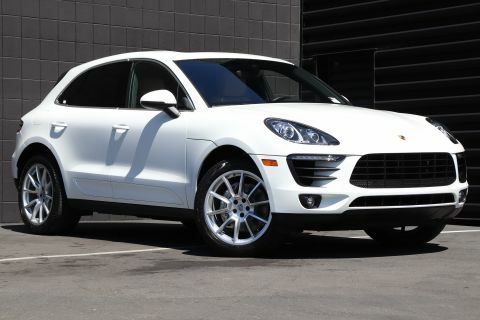 Few vehicles can match the safety and comfort of this AWD Porsche Macan Sport Edition AWD. 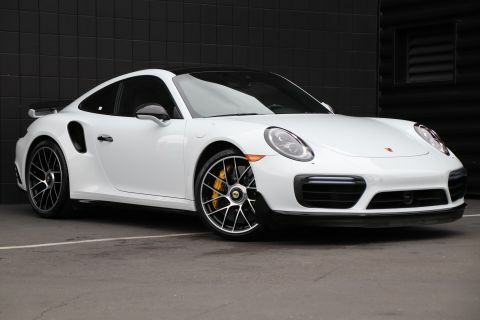 With enhanced performance, refined interior and exceptional fuel efficiency, this AWD Porsche is in a class of its own. 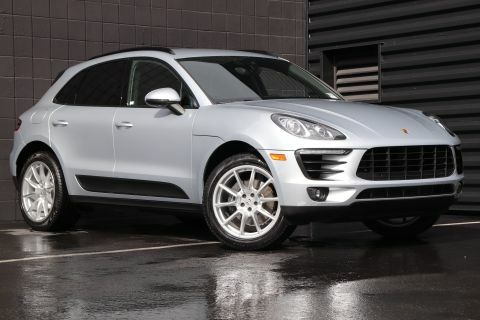 Porsche Fremont presents this 2016 Porsche Cayenne AWD 4dr S E-Hybrid. BENEFITS: There are many benefits to becoming a Fletcher Jones Owner. Complimentary services include car washes, Porsche courtesy vehicles for extended repairs, complimentary pick up and delivery, complimentary maintenance and much more. ABOUT US: Porsche Fremont is located at 5740 Cushing Parkway, in beautiful Fremont, California. As an authorized Porsche dealer, we offer one of the largest new and pre-owned inventories in the bay area. We likely have the vehicle youve been searching for, or contact us to find an exact configuration. Experience the Fletcher Jones Difference today! Porsche Fremont presents this 2017 Porsche Macan AWD. BENEFITS: There are many benefits to becoming a Fletcher Jones Owner. Complimentary services include car washes, Porsche courtesy vehicles for extended repairs, complimentary pick up and delivery, complimentary maintenance and much more. ABOUT US: Porsche Fremont is located at 5740 Cushing Parkway, in beautiful Fremont, California. As an authorized Porsche dealer, we offer one of the largest new and pre-owned inventories in the bay area. We likely have the vehicle youve been searching for, or contact us to find an exact configuration. Experience the Fletcher Jones Difference today! 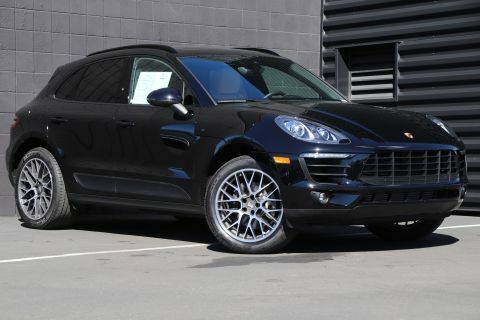 Porsche Fremont is honored to present a wonderful example of pure vehicle design... this 2018 Porsche Macan Sport Edition AWD only has 8,451mi on it and could potentially be the vehicle of your dreams! This 2018 Porsche Macan comes with a CARFAX Buyback Guarantee, which means you can buy with certainty. This vehicle has met all the exacting standards to be classified Certified Pre-Owned. In their original incarnation, SUVs were chiefly owned by folks who valued utility above sport. Not anymore! The Porsche Macan Sport Edition AWD redefines the SUV and makes the perfect all around family companion. Quality and prestige abound with this Porsche Macan. Enhanced performance, a refined interior and exceptional fuel economy are just a few of the things you'll enjoy about this all-wheel drive vehicle. 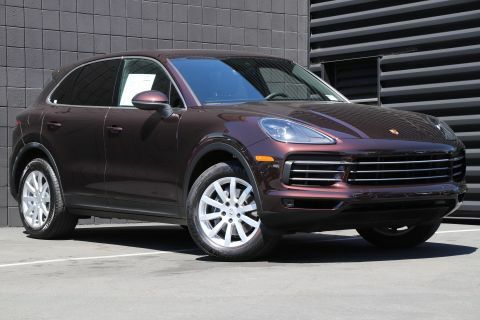 Porsche Fremont presents this 2019 Porsche Cayenne AWD. BENEFITS: There are many benefits to becoming a Fletcher Jones Owner. Complimentary services include car washes, Porsche courtesy vehicles for extended repairs, complimentary pick up and delivery, complimentary maintenance and much more. ABOUT US: Porsche Fremont is located at 5740 Cushing Parkway, in beautiful Fremont, California. As an authorized Porsche dealer, we offer one of the largest new and pre-owned inventories in the bay area. We likely have the vehicle youve been searching for, or contact us to find an exact configuration. Experience the Fletcher Jones Difference today! Porsche Fremont is honored to present a wonderful example of pure vehicle design... this 2018 Porsche 718 Boxster S Roadster only has 9,682mi on it and could potentially be the vehicle of your dreams! This vehicle is loaded with great features, plus it comes with the CARFAX BuyBack Guarantee. As a Certified Pre-Owned vehicle, this Porsche 718 Boxster S Roadster offers you the peace of mind because you know it has been rigorously inspected to meet exacting standards. Every day feels like Saturday when you're driving a well-maintained, plush convertible like this one. This Porsche 718 Boxster S Roadster is for the discerning driver who demands the utmost of his vehicle. Porsche Fremont presents this 2018 Porsche Macan S AWD. BENEFITS: There are many benefits to becoming a Fletcher Jones Owner. Complimentary services include car washes, Porsche courtesy vehicles for extended repairs, complimentary pick up and delivery, complimentary maintenance and much more. ABOUT US: Porsche Fremont is located at 5740 Cushing Parkway, in beautiful Fremont, California. As an authorized Porsche dealer, we offer one of the largest new and pre-owned inventories in the bay area. We likely have the vehicle youve been searching for, or contact us to find an exact configuration. Experience the Fletcher Jones Difference today! Porsche Fremont presents this 2017 Porsche 911 Carrera Coupe. BENEFITS: There are many benefits to becoming a Fletcher Jones Owner. Complimentary services include car washes, Porsche courtesy vehicles for extended repairs, complimentary pick up and delivery, complimentary maintenance and much more. ABOUT US: Porsche Fremont is located at 5740 Cushing Parkway, in beautiful Fremont, California. As an authorized Porsche dealer, we offer one of the largest new and pre-owned inventories in the bay area. We likely have the vehicle youve been searching for, or contact us to find an exact configuration. Experience the Fletcher Jones Difference today! Porsche Fremont presents this 2017 Porsche 911 2dr Cpe Carrera S. BENEFITS: There are many benefits to becoming a Fletcher Jones Owner. Complimentary services include car washes, Porsche courtesy vehicles for extended repairs, complimentary pick up and delivery, complimentary maintenance and much more. ABOUT US: Porsche Fremont is located at 5740 Cushing Parkway, in beautiful Fremont, California. As an authorized Porsche dealer, we offer one of the largest new and pre-owned inventories in the bay area. We likely have the vehicle youve been searching for, or contact us to find an exact configuration. Experience the Fletcher Jones Difference today! 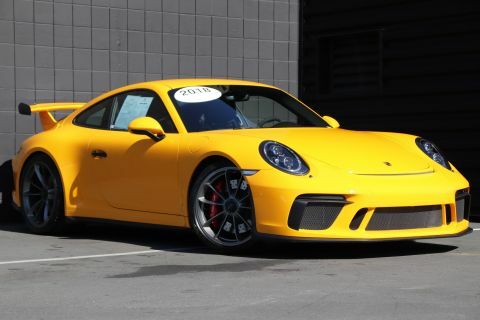 Porsche Fremont is pleased to be currently offering this 2018 Porsche 911 GT3 Coupe with 1,878mi. This Porsche includes: FIRE EXTINGUISHER LUGGAGE NET IN PASSENGER FOOTWELL STEERING WHEEL RIM W/TOP CENTER MARKING IN RED BOSE SURROUND SOUND SYSTEM Premium Sound System TRANSMISSION: 6-SPEED GT SPORTS MANUAL 6-Speed M/T M/T EXTENDED INTERIOR PKG DOOR PANEL IN LEATHER/ALCANTARA VEHICLE KEY PAINTED 23.7 GAL-FUEL TANK WHEELS PAINTED IN SATIN PLATINUM LED HEADLIGHTS IN BLACK FULL BUCKET SEATS FRONT AXLE LIFT SYSTEM FLOOR MATS Floor Mats SMOKING PACKAGE INTERIOR TRIM IN CARBON FIBER W/LEATHER INTERIOR *Note - For third party subscriptions or services, please contact the dealer for more information. * Today's luxury vehicle is not just about opulence. It's about a perfect balance of performance, comfort and attention to detail. 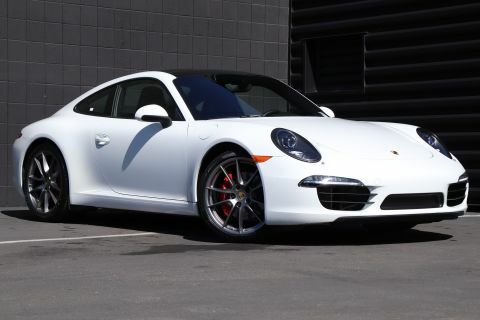 This 2018 Porsche 911 is the perfect example of the modern luxury. The look is unmistakably Porsche, the smooth contours and cutting-edge technology of this Porsche 911 GT3 Coupe will definitely turn heads. The quintessential Porsche -- This Porsche 911 GT3 Coupe speaks volumes about its owner, about uncompromising individuality, a passion for driving and standards far above the ordinary. Porsche Fremont presents this 2018 Porsche 911 Turbo S Coupe. This Porsche includes: FRONT SEAT VENTILATION Cooled Front Seat(s) Heated Front Seat(s) REAR SIDE AIR INTAKES PAINTED IN HIGH-GLOSS BLACK LED HEADLIGHTS IN BLACK SMOKING PACKAGE ELECTRIC SLIDE/TILT SUNROOF IN GLASS Generic Sun/Moonroof Sun/Moonroof BURMESTER HIGH-END SURROUND SOUND SYSTEM Premium Sound System LIGHT DESIGN PACKAGE POWER STEERING PLUS LUGGAGE NET IN PASSENGER FOOTWELL REAR FOOTWELL LIGHTING FRONT AXLE LIFT SYSTEM LANE CHANGE ASSIST (LCA) Blind Spot Monitor AEROKIT TURBO PAINTED IN HIGH-GLOSS BLACK FRONT SEAT HEATING Heated Front Seat(s) ADAPTIVE CRUISE CONTROL (ACC) Adaptive Cruise Control PORSCHE ENTRY Keyless Start Power Door Locks Keyless Entry *Note - For third party subscriptions or services, please contact the dealer for more information. * BENEFITS: There are many benefits to becoming a Fletcher Jones Owner. Complimentary services include car washes, Porsche courtesy vehicles for extended repairs, complimentary pick up and delivery, complimentary maintenance and much more. 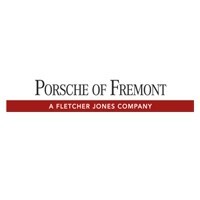 ABOUT US: Porsche Fremont is located at 5740 Cushing Parkway, in beautiful Fremont, California. As an authorized Porsche dealer, we offer one of the largest new and pre-owned inventories in the bay area. We likely have the vehicle youve been searching for, or contact us to find an exact configuration. Experience the Fletcher Jones Difference today! We appreciate your interest in our inventory, and apologize we do not have model details displaying on the website at this time. Please fill the form out below and our team will quickly respond, or, please call us at (510) 790-1111 for more information. Whether you’re shopping for a sports car or SUV, Porsche Fremont offers a thrilling selection of used Porsche models, as well as models from other top luxury brands. You can also find Certified Pre-Owned Porsche vehicles, which come with a 2-year/unlimited-mileage warranty and special financing options. Either way, if you’re not keen on buying new, you’re sure to find something that agrees with your tastes and pocketbook. Don’t forget to browse our pre-owned specials for savings opportunities you can’t get from other dealers around San Jose and Palo Alto! What Are the Benefits of Buying a Used Porsche? Do you have questions about what to look for in a used car? 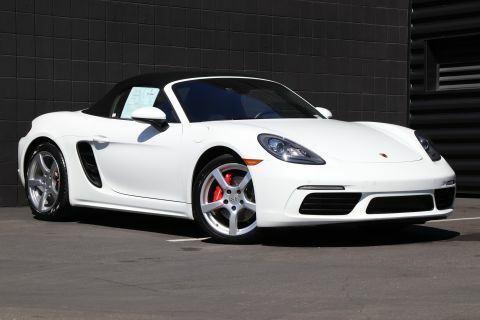 Or, are you ready to take one of our used Porsche models for a test drive? Simply complete our online scheduling form and we’ll be in touch!